Meramec Street east of Grand Boulevard is referred to as “Downtown Dutchtown” (and promoted by DT2, the Downtown Dutchtown Business Association). The neighborhood commercial strip features cafés and bars, resale shops, and other services. At Meramec and Virginia you can find some of the neighborhood’s strongest anchors: Winkelmann Sons Drug has been at the southwest corner since 1913; Urban Eats Café offers food, drink, and space for all kinds of community gatherings and enterprises; and Dutchtown South Community Corporation works to develop and stabilize the neighborhood and empower the surrounding community. The main thoroughfares in Dutchtown. South Grand Boulevard features many businesses catering to the variety of immigrants that call Dutchtown home. Several Vietnamese restaurants, groceries, and coffee shops, along with the Gurung Bazaar serving the Nepalese immigrant community, several small churches, and other shops and offices line South Grand. A wide assortment of businesses are based along South Broadway and South Jefferson, which merge at Chippewa Street. Liberty Hardware, Sump Coffee, Don’s Meat Market, and Spare No Rib are some of the small businessesalong the strip. Concordia Publishing House has been in the area for over 150 years, as has St. Alexius Hospital, and the German Cultural Society also harkens back to the early settlers of the area. 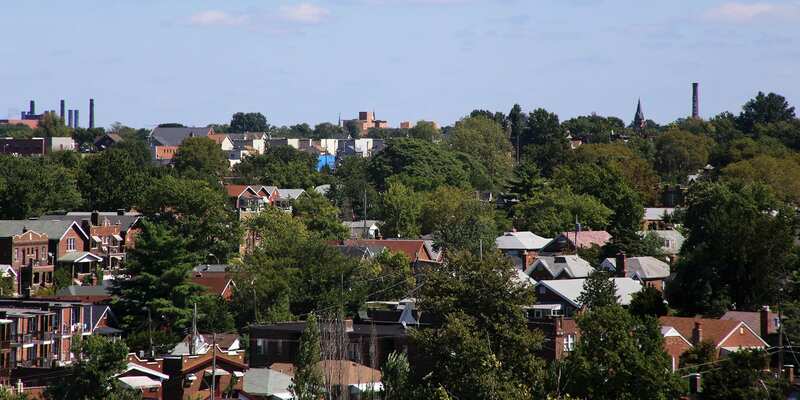 In the center of the neighborhood, straddling Compton Avenue, is Marquette Park. 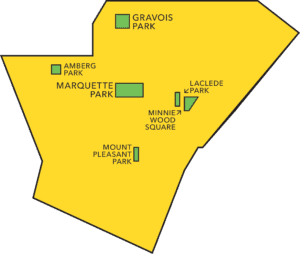 Marquette features the only public pool on the South Side. 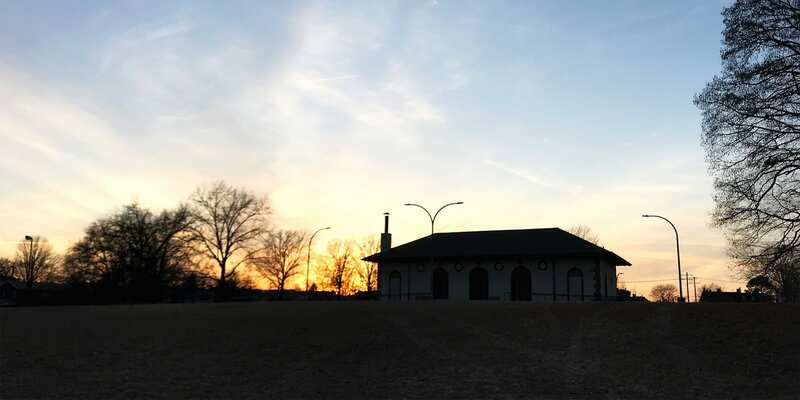 The newly renovated Marquette Park Field House overlooks the neighborhood and provides a great space for meetings, receptions, and more. 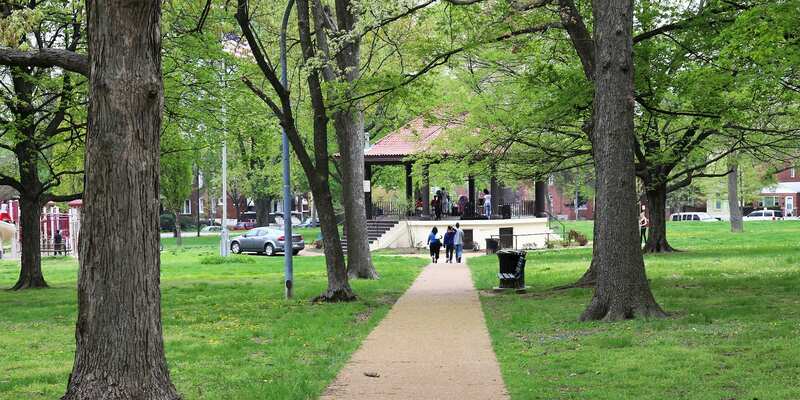 The park also has sports fields, tennis courts, and a playground. 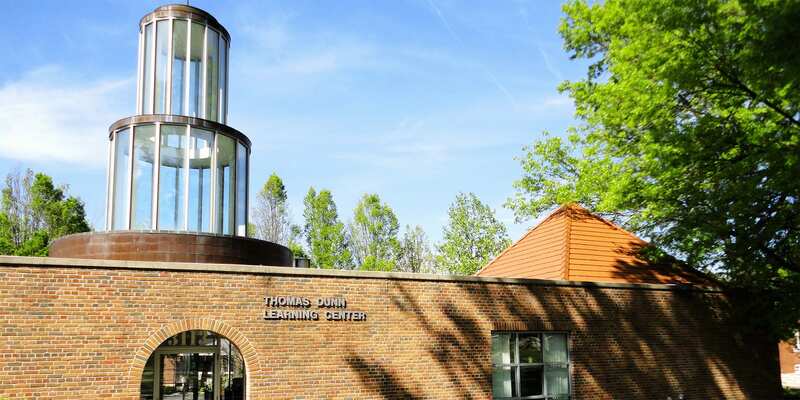 Thomas Dunn Learning Center stands on the southeast corner of Marquette Park at Minnesota and Gasconade. Thomas Dunn features a computer lab, an art studio, a demonstration kitchen, a library, a community garden, and multiple meeting spaces. In addition to hosting many public and private meetings and events, Thomas Dunn also offers open computer and art lab hours, HiSET (GED) classes, parenting education, financial counseling, youth summer camps, and so much more. 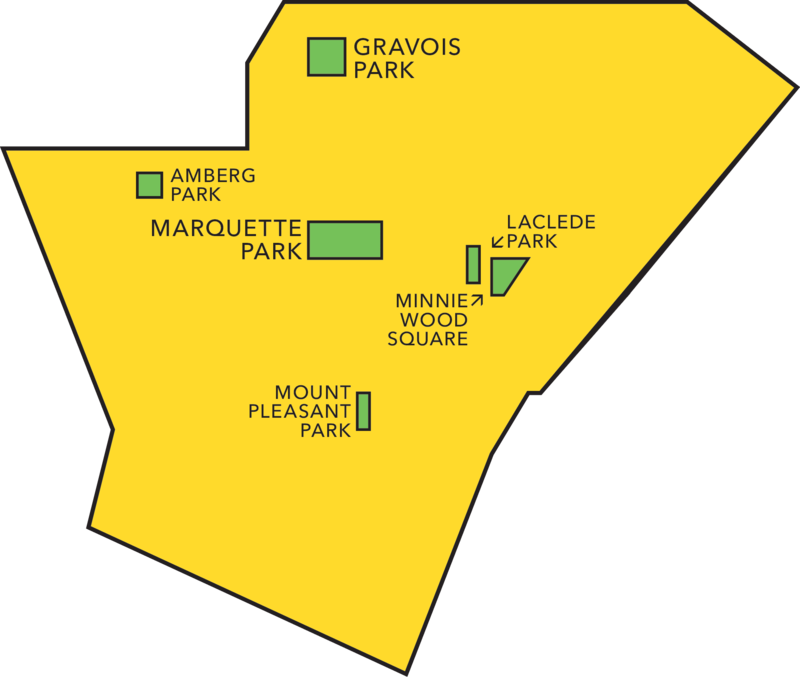 Amberg Park is in the western section of Dutchtown, at Gustine, Keokuk, and Dunnica Avenues. 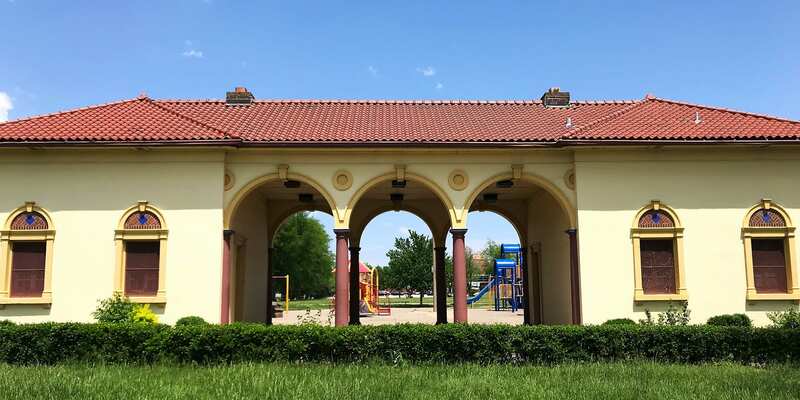 Amberg features baseball diamonds, a newer playground, and a renovated gazebo. 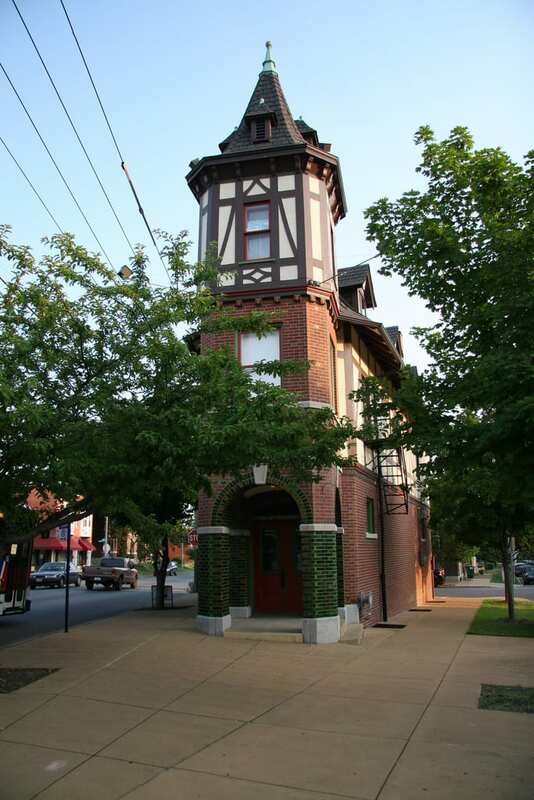 Several buildings and neighborhoods are on the National Register of Historic Places. 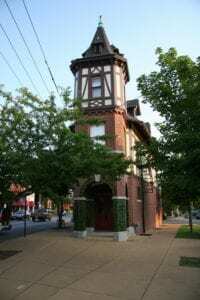 The Gravios-Jefferson Streetcar Suburb Historic District encompasses all of Gravois Park and the north end of Dutchtown. The St. Cecilia Historic District, especially notable for the heavy use of white-glazed “bakery brick” throughout the district, and the Dutchtown South Historic District cover most of the south end of Dutchtown. The Marine Villa Neighborhood Historic District covers a portion of Marine Villa. The sprawling National Candy Company Factory at the west end of the neighborhood is listed, as is the Stork Inn at Virginia and Idaho. Several schools designed by William B. Ittner appear on the register. Listed historic homes include the Miltenberger House on Osceola and the Chatillon De Menil House near the end of Antique Row. Three Missouri House of Representatives districts cover Dutchtown. The 78th District, represented by Rep. Bruce Franks, covers the northwestern portion of the neighborhood. 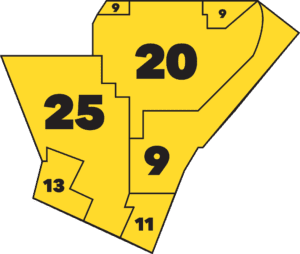 The 80th District, represented by Rep. Peter Meredith, includes the northwestern corner of Dutchtown. The southern portion of the neighborhood falls into the 81st District, currently represented by Rep. Fred Wessels. All of the neighborhood lies within State Senate District 5, served by Sen. Jamilah Nasheed. At the federal level, Dutchtown is served by U.S. Rep. William Lacy Clay, U.S. Sen. Claire McCaskill, and U.S. Sen. Roy Blunt. This page was last updated on May 23, 2018 .